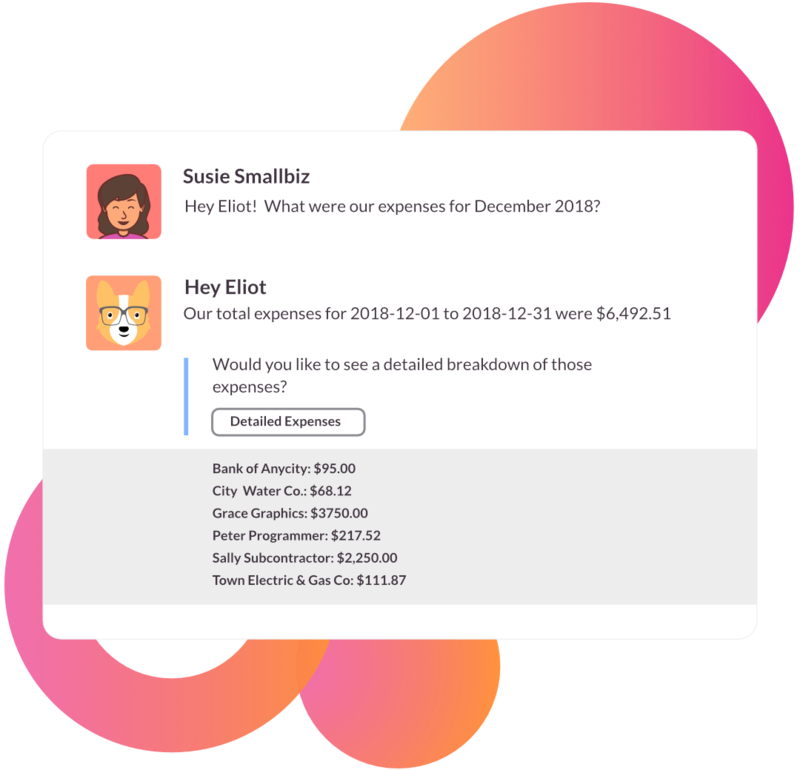 Connect your accounting software to Slack for instant, conversational financial reporting. Better decisions in less time. Eliot uses natural language and dropdown menus so everyone on your team can use him - no matter their technical skills. How do your sales compare to last quarter? What is your best selling product? Ask Eliot and he'll let you know, so your team can make more informed decisions. 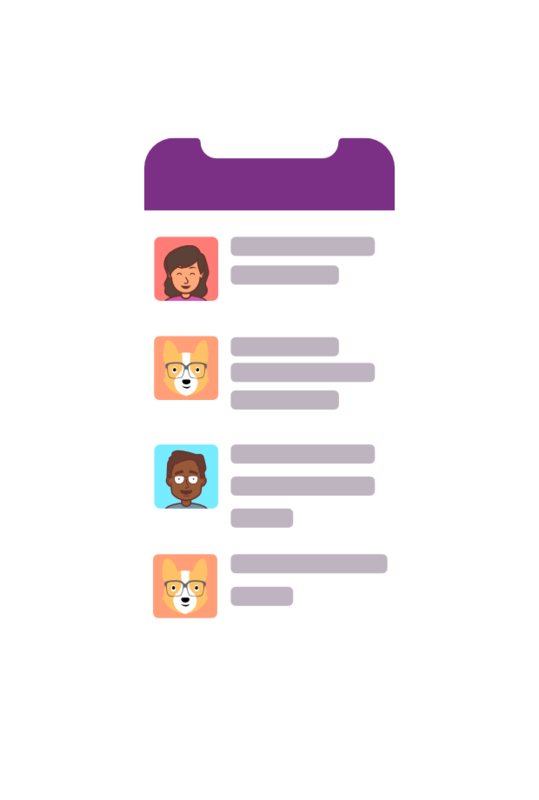 No more digging through spreadsheets or waiting around for your bookkeeper to get back to you with answers to your questions. 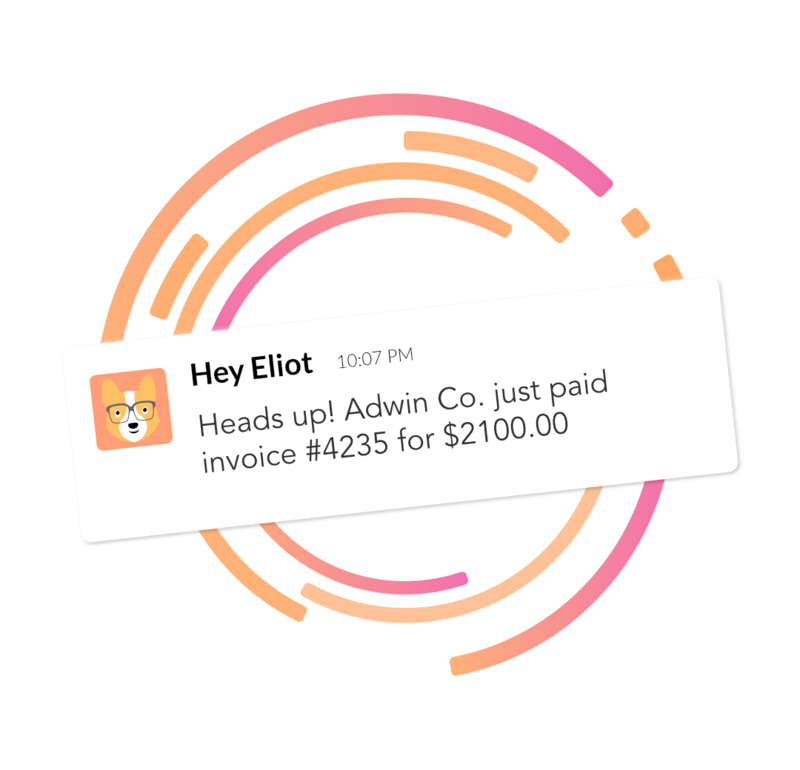 Eliot gives you instant answers without hunting through QuickBooks. Quickly get the insights you need into which products and customers are driving revenue. 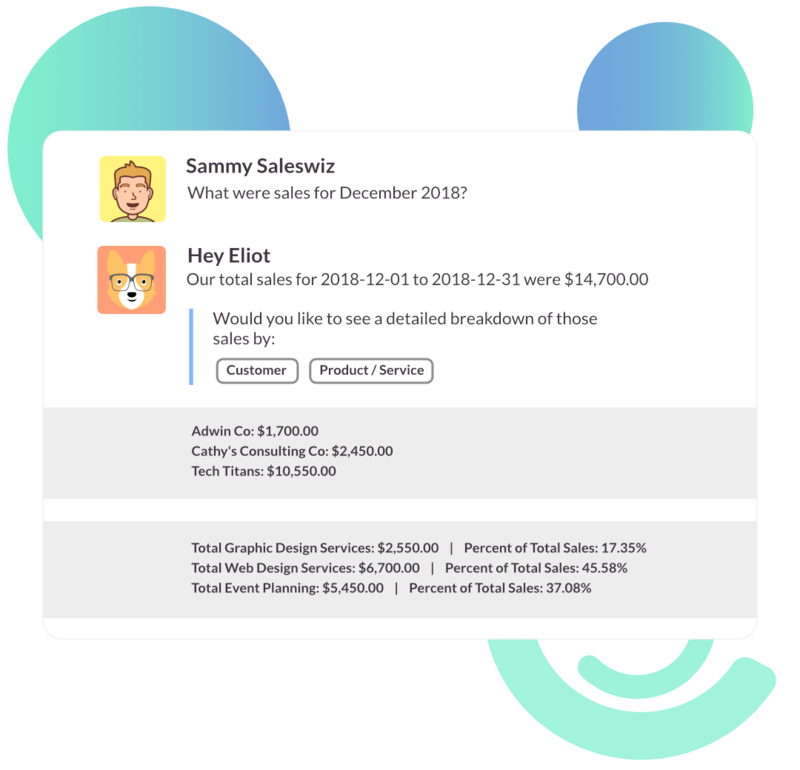 Hey Eliot lets you search by a specific time period and breakdown numbers into customer or product to get the info you need. Dive deep into where your money is going so you can quickly spot ways to save. Breakdown by expense category or by a specific vendor instantly. 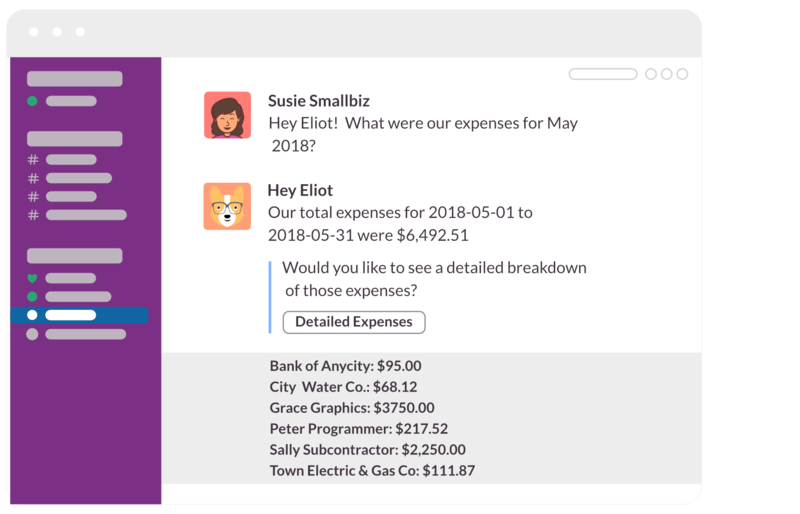 Get accounting notifications in Slack - a tool that your team already uses everyday. Stay in the know, without needing to login to Quickbooks. Nick previously founded a cold pressed juice company and understands how hard it is for entrepreneurs to manage their finances. Lover of tacos and dogs. 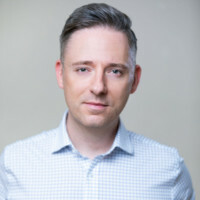 Tudor is a software engineer specializing in systems integrations for sales and financial software. If he isn't working on Hey Eliot, you can find him skiing on the local mountains. Copyright 2019, Ink Financial Ltd. All Rights Reserved.